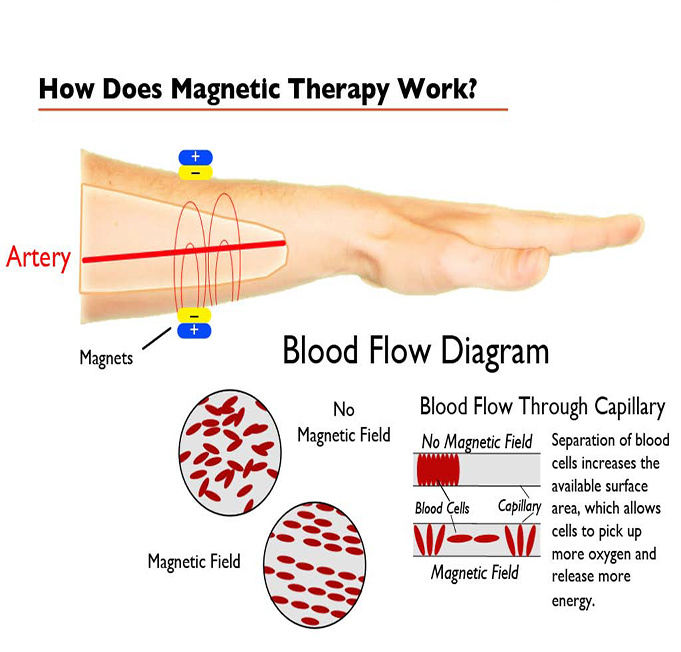 Magnets improves blood flow in underlying tissues. The most common suggested mechanism is that magnets improve blood flow in underlying tissues this is due to the variety of electromagnetic fields that naturally occur within the body. For example, nervous system transmissions and related muscle contractions are associated with magnetic activity. The heart generates the largest magnetic field in the body. Several other activities in the body are associated with magnetic activity. At one time it was thought that abnormal magnetic fields in the body might result in certain disease states and that magnets could play a role in making these magnetic fields normal again. The general theory is that magnets attract the iron in red blood cells, resulting in increased circulation. Though the iron in blood cells is not in a magnetic form, magnets, in theory, could have an effect on other charged molecules in the blood and other parts of the body. 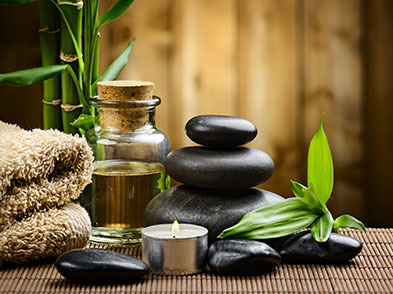 For an effective treatment, the Magnet Therapy is combined with the other therapies and instruments like The Vibrators, Special Ayurvedic Massage Oils, Natural Stimulators for the Muscles and the affected part & Magnet Polarity Balancers. Together, as an combined package, these treatments works wonders for most of the people. Muscle soreness caused by exercise. Improving wound healing after surgery. By placing magnets in the form of patches over cosmetic surgical wounds might reduce pain, water retention, and discoloration.